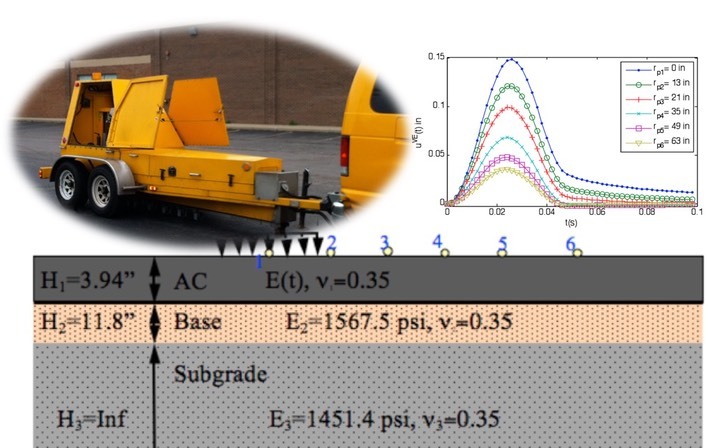 The scope of our research broadly covers the areas of analytical and numerical modeling of asphalt pavements (at both material- and structural-level), experimental characterization of sustainable materials used in asphalt pavements, and applications of image analysis techniques in pavement engineering. Inverse analysis techniques for asphalt pavements using nondestructive testing methods: Back calculation of in-situ pavement properties from the nondestructive Falling Weight Deflectometer (FWD) test is important to assess the condition of existing pavements. One of the key inputs in the Mechanistic Empirical Pavement Design Guide (MEPDG) is the complex modulus (|E*|) master curve, which is a fundamental viscoelastic property for asphalt pavements to predict their remaining service life or design a rehabilitation method. As part of two FHWA-sponsored research projects (DTFH61-11-C-00026 and DTFH61-08-R-00032), we developed layered viscoelastic structural analysis algorithms for pavements (called LAVA) and optimization algorithms to back calculate the |E*| master curve (called BACKLAVA) using the time history of FWD surface deflections. We successfully developed several methods of calculating the |E*| master curve of asphalt pavements and nonlinear characteristics of unbound layers from FWD data. The back-calculation algorithms were based on Genetic Algorithm (GA)-based optimization methods. Crumb rubber (CR) modified asphalt pavements: As part of a major research effort funded by the Michigan Department of Environmental Quality (MDEQ), we have been working towards finding feasible methods of using scrap-tire rubber (i.e., crumb rubber (CR)) in asphalt pavements in Michigan. We (in collaboration with the Ingham County) constructed seven different test sections in and around Lansing, MI. We conducted extensive laboratory testing to better understand the compatibility of various CR modified asphalt technologies (e.g., wet process, preswollen and polymer coated CR methods) with the local aggregates and binders. While working on the different technologies, we developed our own technology called the CR-hybrid, a hybrid CR modified mixture using both Terminally Blend and Dry technologies. The test section with the CR-Hybrid has been performing well. Furthermore, MDEQ funding also allowed us to perform fundamental research on CR modified asphalt pavements. 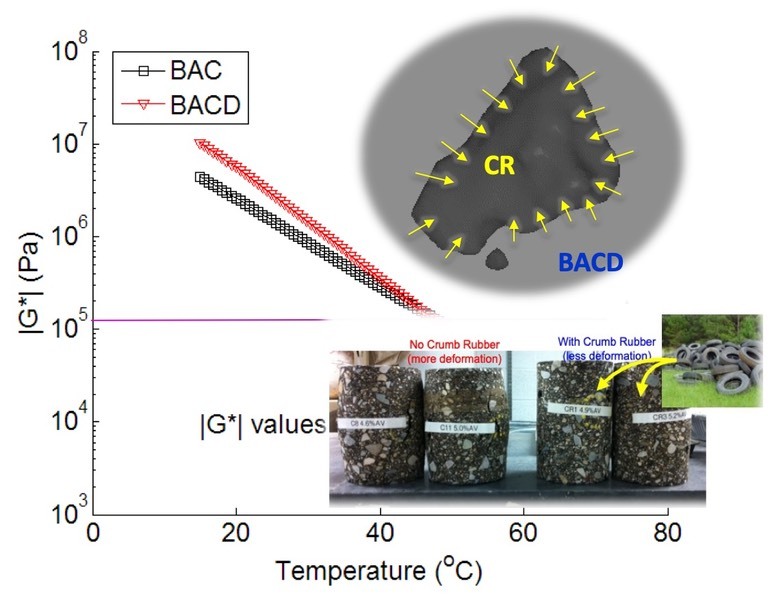 For example, we developed methods (based on micromechanics) of back-calculating the dynamic shear modulus (|G*|) of swollen rubber within asphalt the crumb rubber modified asphalt binders. Validation of this method was done through 3D X-ray Computed Micro-Tomography (Micro-CT) imaging and 3D Finite Element Modeling using the real 3D X-ray Micro-CT images of CR-modified binders. Constitutive modeling of cracking in asphalt pavements: Over the past ten years, we developed various practical constitutive models to better predict fatigue cracking in asphalt pavements. These models were primarily based on the viscoelastic continuum damage (VECD) theory. 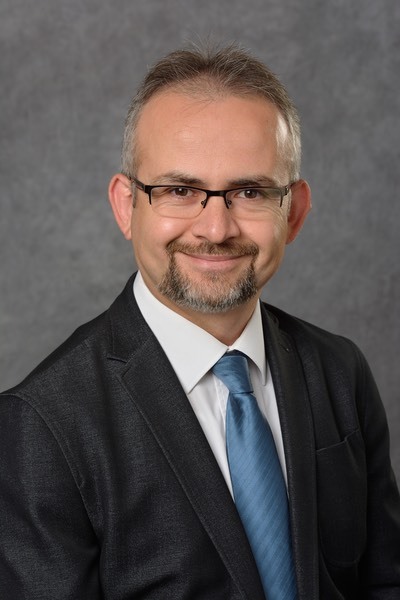 A paper we published at Journal of the Association of Asphalt Paving Technologists was awarded with the Association of Asphalt Paving Technologists (AAPT) Walter J. Emmons Award for best paper in 2009. The VECD theory offers a great potential for better prediction of evolution of fatigue cracks in asphalt pavements, and has the ability to accommodate stress control and strain control laboratory behavior in a single framework. More recently, we successfully implemented material-level VECD models into structural models to analyze full-scale pavements. The primary strength of this model is that it does not use the Miner’s law and capable of including nonlinear progression of damage in pavements. Another unique feature is that algorithms are implemented into the Layered Elastic/Viscoelastic Structural models, therefore they are computationally quite efficient and can easily be used in pavement design purposes. Development of QC/QA methods for pavement preservation treatments: One of the most popular pavement preservation treatments is the chip seals. Binder layer in a chip seal act as a waterproof membrane to protect the pavement surface from sun, oxidation and moisture, while the aggregates act as a ‘bridge’ and provide skid resistance. One of the major issues with chip seal construction is that there is no objective acceptance test to evaluate the adequacy of the constructed layer. Embedment depth is one of the most important parameters related to the quality of chip seals, however, historical methods of obtaining embedment depth are subjective and contains inaccurate assumptions. As part of a study funded by the Michigan Department of Transportation (MDOT), we developed a standard test procedure to directly evaluate the aggregate embedment in a chip seal via digital image analysis. This method can be used as part of an acceptance specification, for forensic investigation purposes and to validate/refine chip seal design procedures. After successful development of the method, we developed a software called CIPS and delivered to MDOT. Later we performed a follow-on study funded also by MDOT to develop percent embedment limits to assure proper field performance.